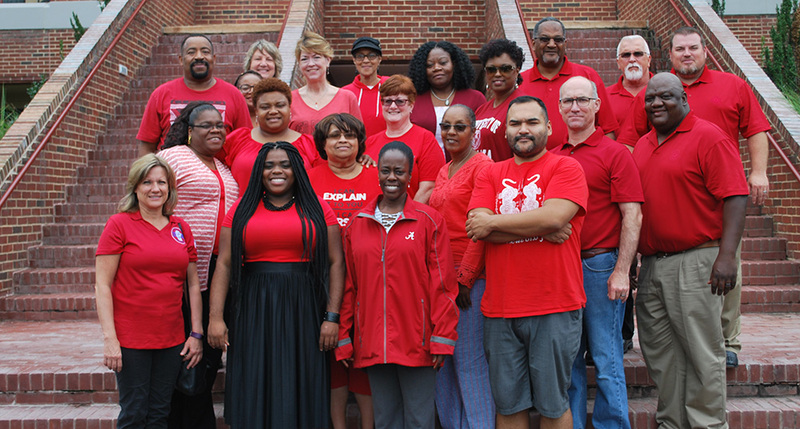 National Federation of Federal Employees (NFFE-IAM) members and staff joined fellow union leaders and allies on #RedforFeds Day, a nationwide act of solidarity supporting federal civil service. 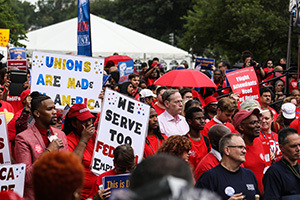 The #RedforFeds rally was held in Washington, D.C. prior to oral arguments in a lawsuit filed by the IAM and 12 other unions against the President and the Office of Personnel Management. The suit was later consolidated with lawsuits from the National Treasury Employees Union, the American Federation of Government Employees, and the American Federation of State, County, and Municipal Employees. The unions are seeking an injunction from the court to block further implementation of the three executive orders that unlawfully prohibit statutory guarantees to legitimate representation and due process in the federal workplace. Joining the sentiment of federal unions are members of Congress from both parties, sending three separate letters to Trump requesting that he rescind the orders. Additionally, a bipartisan group of current and former congressional leaders filed an amicus brief in opposition of the EO. 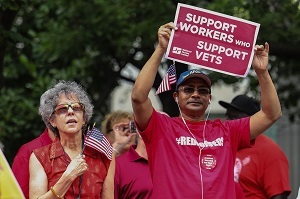 The post IAM, NFFE Federal Workers Rally on #RedforFeds Day appeared first on IAMAW.